Anvesak is a refereed bi-annual journal of the Sardar Patel Institute of Economic & Social Research (S.P.I.E.S.R.) and publishes research work on theoretical and applied economics. The journal also has a book-review section devoted to recent publications on theoretical and applied economics. Original manuscripts for the consideration of the journal, along with the letter of declaration stating that the manuscript is not sent elsewhere, should be addressed to the Editor. Authors are entitled to 5 free reprints and a copy of the issue in which their article appears. A list of articles published since inception is included. Correspondence relating to contributions should be addressed to Anita Arya at Institute address. Correspondence relating to subscriptions should be sent to the Development Officer at the same address. Contributions (two copies) should be mailed to Anita Arya. They should be typed in double space and must be accompanied with an abstract (about 100 words) and complete address for communications. Authors are requested to send a copy (MS Word) to anvesak@spiesr.ac.in and CD along with the manuscript. Notes in the text should be numbered consecutively and should appear at the end of the text on a separate page. Reference should be typed on a separate page. They should be arranged alphabetically, putting surname first, followed by personal names or initials. Collective words : Barden, P K (1974), “The Pattern of Income Distribution In India: A Review” in Srinivasan, T N and Barden, P K (eds), Poverty and Income Distribution in India, Calcutta : Statistical Publishing Society. Madhukari is a bi-annual journal, now it’s revived with new look from June 2015, and brings out translated and invited papers in Guajarati language. 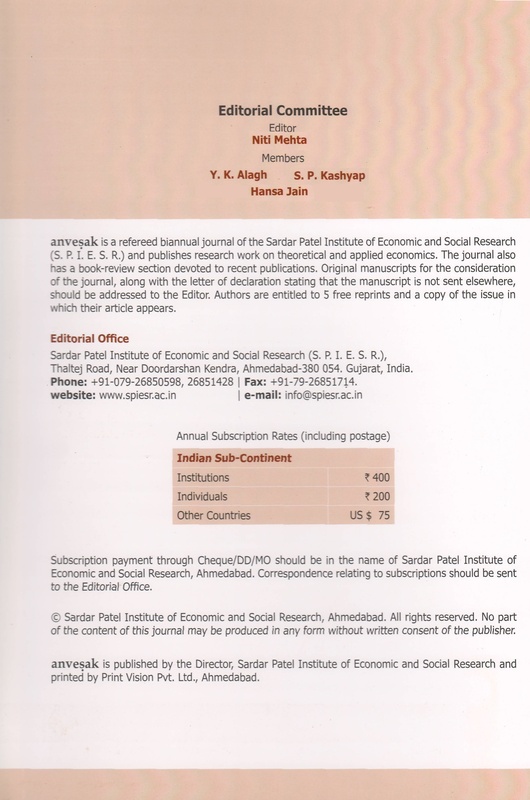 The journal Madhukari published by SPIESR is an important organ for broadcasting findings of empirical research in the broad areas of economics and social sciences. It gives prominence to theoretical literature and issues of policy relevance. 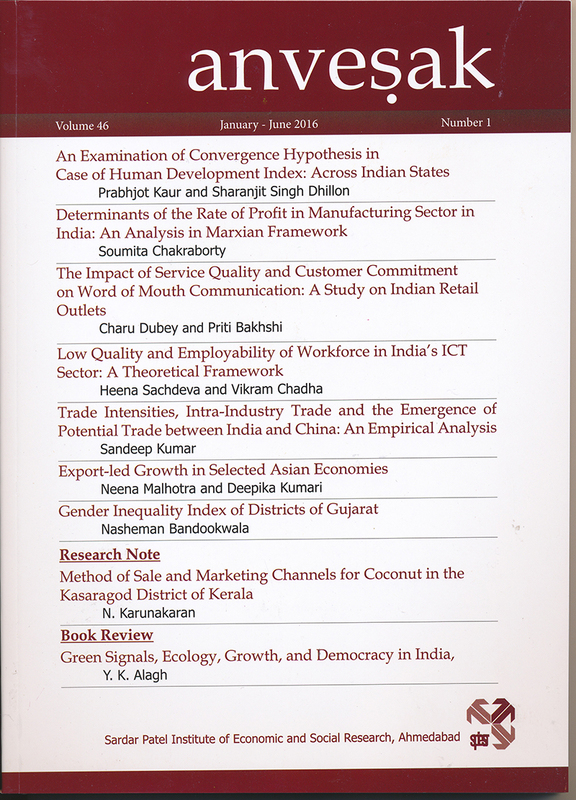 The Madhukari has in the past disseminated a wide ranging collection of articles that cover social science. The journal invites research papers in Gujarati language on the broad theme on various subjects like economics, sociology, political science, education, geography and related areas. Submission should be clearly indicate title of the paper, author/s, and abstract (150-200 words), along with address for correspondence. The full manuscript, as PDF or MS word file, should be emailed to the editor. The papers would be subjected to a review process.